In this article, we will explain what Enterprise Feedback Management software is as well as provide you with an overview of the top 15 Enterprise Feedback Management Software. What is Enterprise Feedback Management Software (EFM)? Coined by Perseus Development back in 2004, the term Enterprise Feedback Management was first defined as ‘formal tools for data collection and output analysis’. The term has since expanded its meaning somewhat. Today, Enterprise Feedback Management Software (or EFM) is powerful software that enables organisations to solicit and manage their data centrally. Intended for enterprises (or larger companies), this software typically offers different roles and permission levels so that once the feedback is transformed into actionable data, it can be distributed appropriately throughout the organisation. This allows these organisations to better respond to the needs of their customers in a holistic manner. Note: EFM systems are not all limited to customer feedback. Many of these systems are often used to collect and analyse data on employees and market research as well. However, for the sake of this article, we will focus on customer feedback-oriented tools. Here are our Top 15 Enterprise Feedback Software. Mopinion is a customer feedback software that collects and analyses website and mobile feedback in real-time. With it’s easy-to-use interface, users can build, design and configure feedback forms how they like. Users can also target these feedback forms to specific groups of online visitors and gain insights into why they are not converting. Feedback can be visualised in customisable dashboards and charts for advanced analyses. To take it one step further, digital teams can share and take action on these feedback items in a timely manner with the help of smart alerts. Mopinion offers a variety of packages, including Free, Basic, Starter, Growth, Turbo Growth, and of course Enterprise. AskNicely is a well-known enterprise feedback software that promises to both improve your CX and speed up growth with its NPS framework. Users can collected feedback from their customers anywhere across the customer journey on whichever channel they wish, including email, website and even SMS. This software can be integrated with your own CRM so that you can set up regular samplings or fast surveys and respond directly from your CRM. This tool, however focuses mainly on NPS. Verint’s Enterprise Feedback Management platform is another popular option among organisations. It combines both traditional and digital methods (powered by ForeSee – see #14) for collecting the Voice of the Customer. Traditional methods of feedback include key call-center metrics such as first call resolution, average handle time and more. They also offer post-interaction feedback on both mobile apps and websites. Clarabridge is an enterprise feedback management (EFM) platform that helps users understand and improve the customer journey. Clarabridge collects and transforms all forms of customer feedback into intelligence, allowing businesses to activate the voice of the customer across the enterprise. Data is very easy to interpret thanks to dashboards, reports and alerts available. MaritzCX is a fairly popular EFM software that allows its users to take data from their different feedback channels and turn it into a cohesive set customer data that everyone in the organisation can use and benefit from. Users can create visualisations of customer touchpoints and interactions within the customer journey. It also includes three Journey Mapping engagement levels that give users access to different services within the platform. Wootric is an enterprise feedback management software that makes use of single-question microsurveys. Most of these surveys include metrics such as Net Promoter Score (NPS), Customer Satisfaction (CSAT) and Customer Effort Score (CES). What’s especially great about this tool is that it can be installed quickly and easily. All feedback (once collected) is sent to your live dashboard for review. 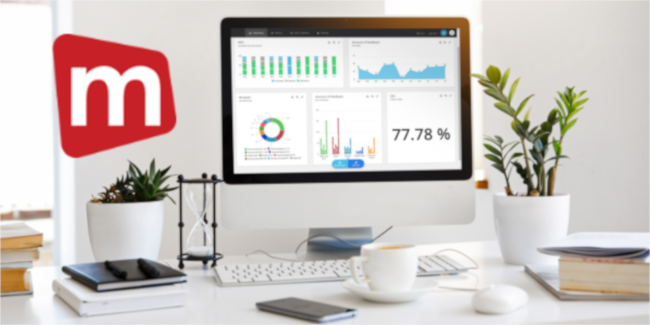 Wootric’s analytics platform is available to users, but then as a stand-alone product to companies that want to enhance their VoC program with text & sentiment analytics. Medallia for Digital is an enterprise-grade software and key component of Medallia Experience Cloud. This software, which recently acquired Kampyle (VoC platform), captures customer feedback on websites, mobile websites and in-app and integrates it with offline data from contact centers, retail stores and several other touchpoints. The software also makes use of powerful AI-based text analytics, role-based reporting and real-time alerts. GetFeedback is another EFM that enables users to quickly and easily build branded surveys using drag & drop and a number of different personalisation features. It is also flexible in that it adapts to almost every platform that is used to distribute surveys. GetFeedback can be integrated with SalesForce, meaning the results of the surveys are also visible in your SalesForce dashboard. There are however, limitations in the flexibility of question types, data presentation and overall customisation. Intouch Insight’s enterprise feedback management software, LiaCX™, provides businesses with a number of ways to collect feedback including, post-transactional surveys, website, email, SMS, social media, online reviews, call center and more. The platform includes unlimited role-based dashboards and customer journey map dashboards, which can be easily customized by the user. The platform’s robust reporting engine is powered by artificial intelligence including predictive analytics, text analytics and sentiment analysis on text, audio and video, and image mining. LiaCX also includes automated case management tools for responding to feedback and closing the loop with customers. Survey Monkey is a popular survey tool (which offers an EFM solution) for creating surveys. Most of you are likely familiar with the free version which provides you with unlimited surveys. 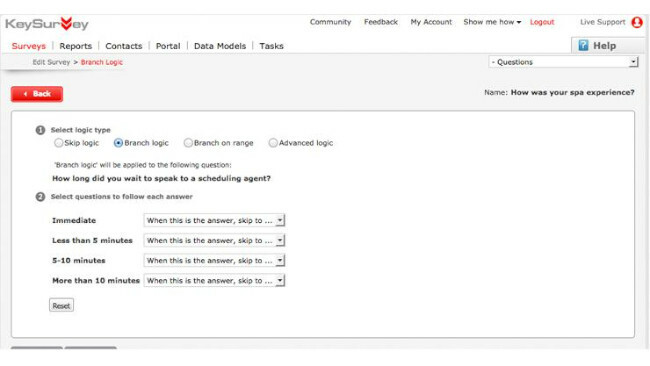 However the EFM package enables users to build more sophisticated (and custom) surveys with features such as advanced logic, branching, piping, multiple languages and more. NICE Satmetrix is a relatively new enterprise feedback management software that was created when Satmetrix was acquired by NICE in 2017. With a user-friendly interface and clear visuals, NICE Satmetrix offers advanced surveys with abilities such as location, industry or product segmentation. Users can also publish positive feedback (provided by clients) on social media. Keep in mind though that this solution is mainly focused on customer service. KeySurvey is an enterprise feedback management software that offers advanced features for collecting, managing and leveraging feedback data. What’s interesting about this software is that the core technology is ‘modular’, which means users can configure the exact EFM solution they need, with reporting, integration and workflow functionalities. While CloudCherry is best known for its use of the Net Promoter Score (NPS) metric, it also offers feedback management. In fact, it’s journey-based approach, plus integrations and predictive analytics features are great for helping organisations reduce churn . ForeSee is a multi-channel customer experience analytics software (with EFM capabilities) that enables users to prioritise CX investments. The ForeSee CX Suite offers customer-initiated surveys, session replay and heat maps (available for websites and mobile devices), text analytics, issue tracking and alerts and product reviews. Reports can be exported and shared in formats such as Excel, CSV and PowerPoint. UserVoice is an EFM software that is capable of collecting and organising feedback from various sources for your product team. The software includes a customisable feedback portal, available in-app widgets and email, support and CRM integrations. Its overall focus lies in product management, providing users with the feedback they need to prioritise their product roadmap. Top performing enterprises are top performing as a result of their effort to make continuous improvements to their digital customer experience. And enterprise feedback management software makes that possible. It helps these organisations focus heavily on their customers and their success, as well give them input for building up a future for their brand. 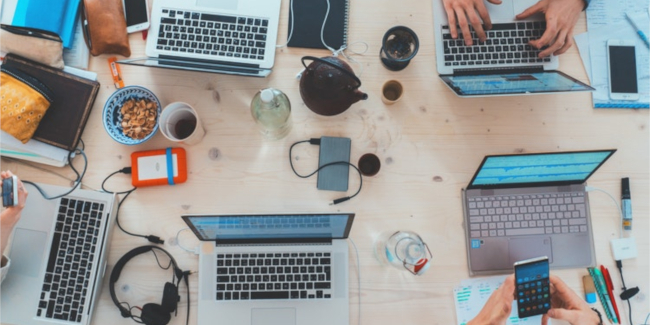 We hope this article has provided you with some direction in terms of choosing the right enterprise feedback management software for your organisation.